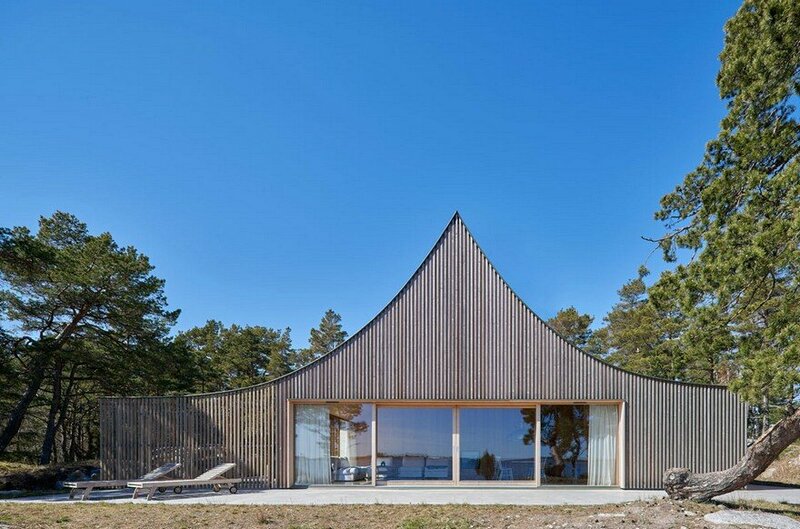 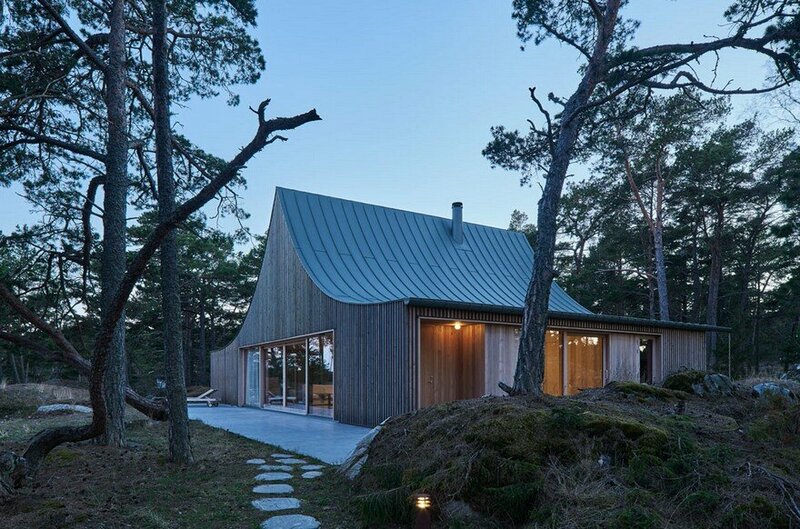 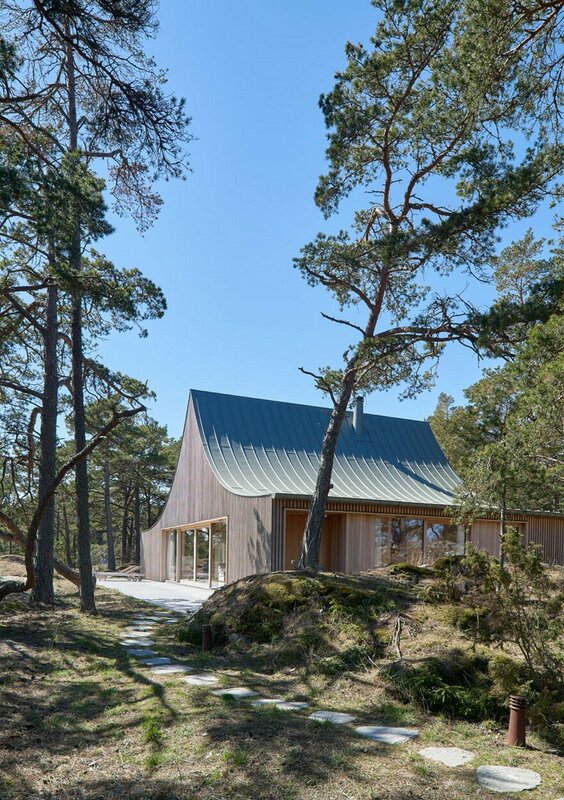 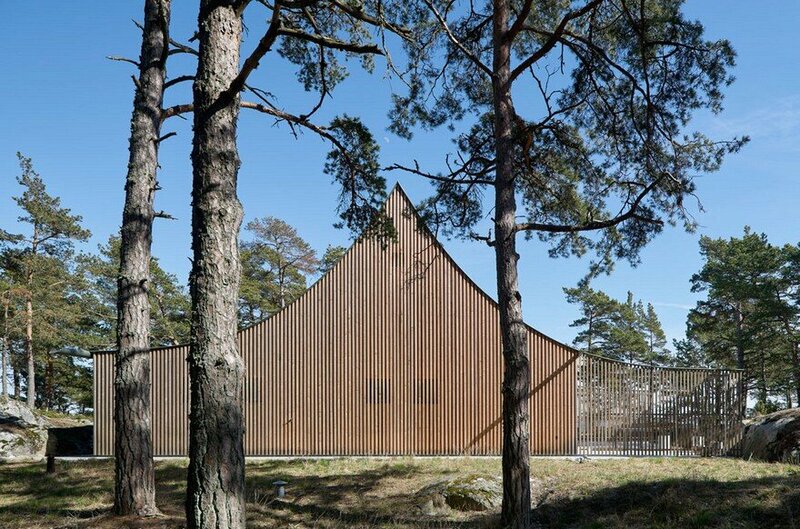 The site is a promontory on the relatively small island of Krokholmen in Stockholm’s outer archipelago: a typical archipelago landscape with windswept dwarf pines and soft mountain outcrops produced by the inland ice. 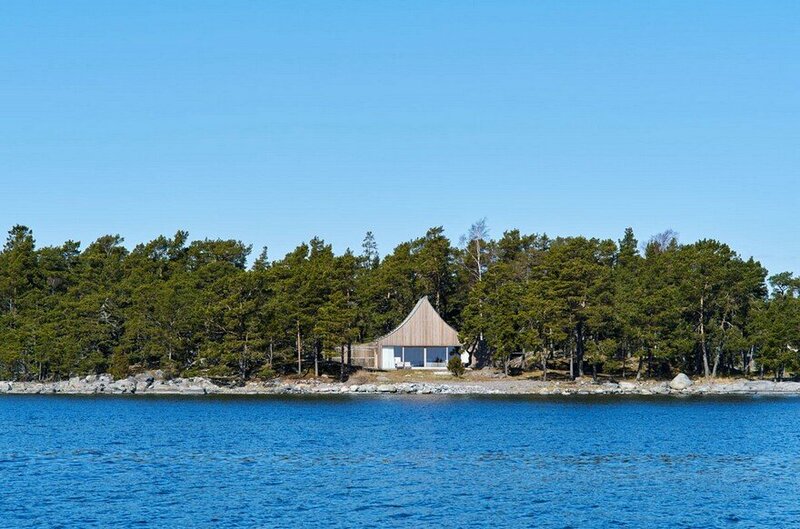 The plot benefits from open views, in the east all the way out to the lighthouse Almagrundet in the open sea, and it is at times exposed to strong winds. 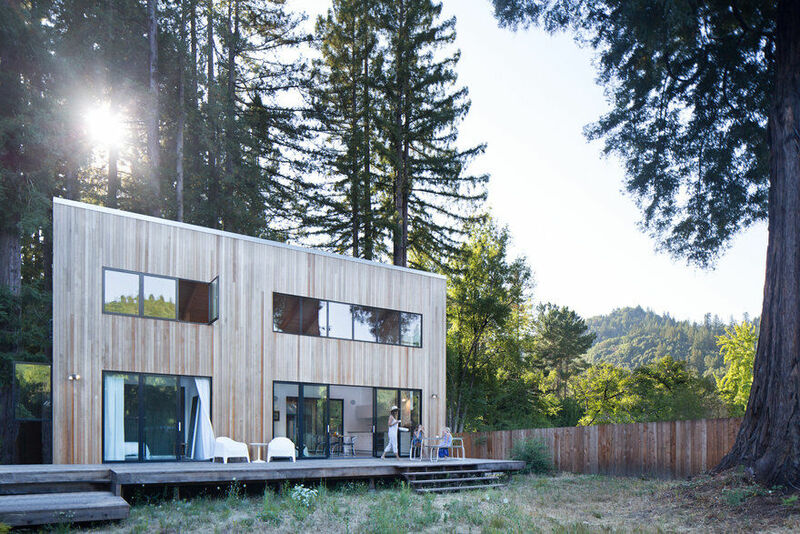 The family wanted a maintenance-free vacation home in one level with social space both inside and outside. 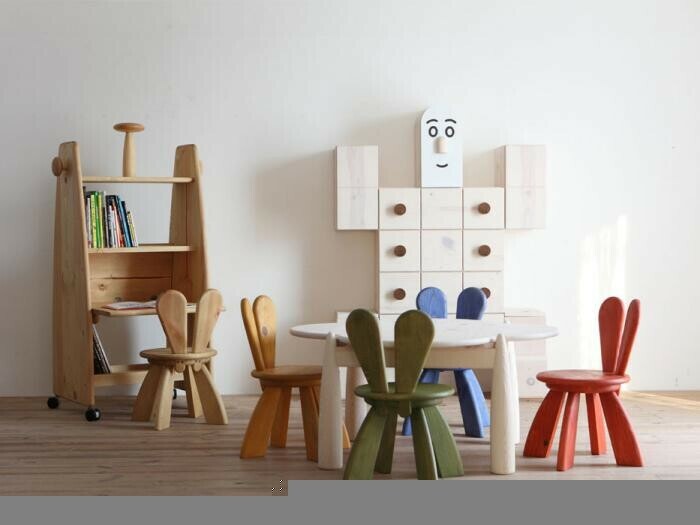 We proposed a two-part plan. 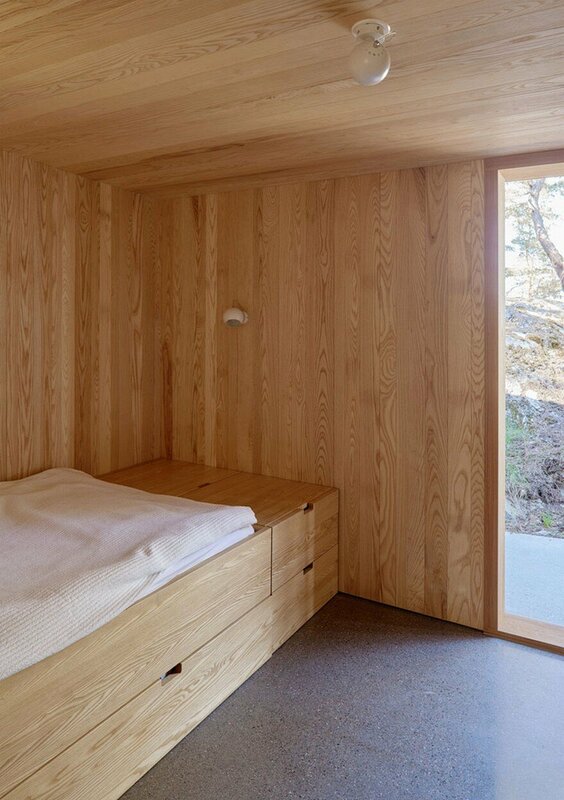 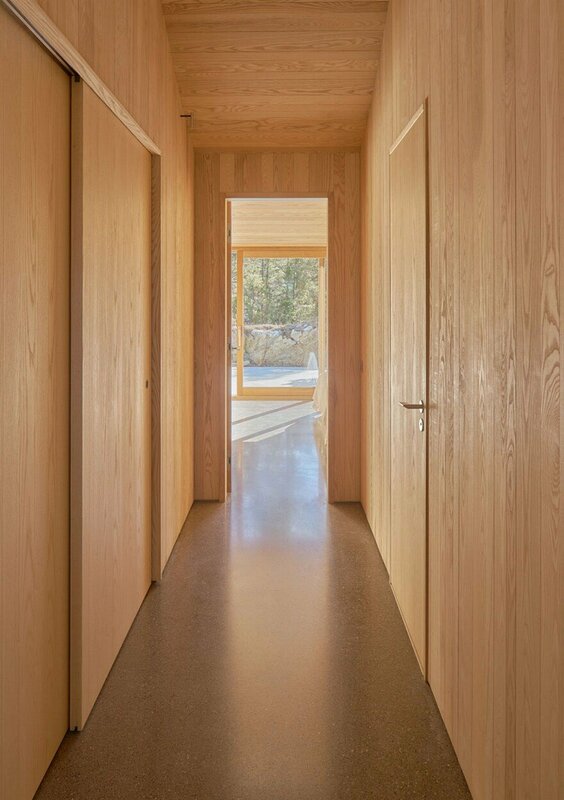 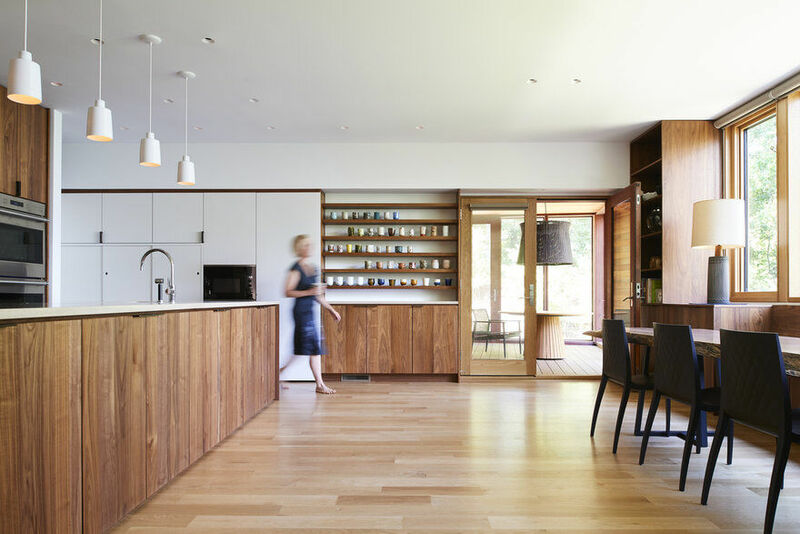 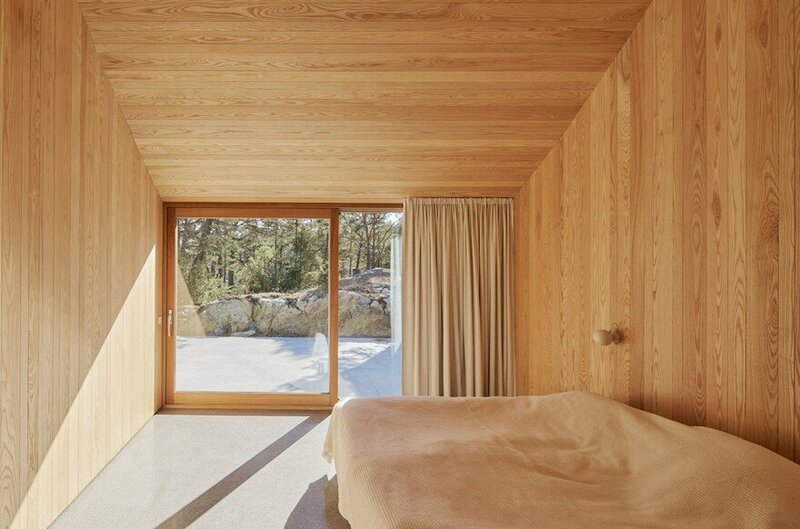 Through a central wall holding the fireplace, a narrow opening gives access to bedrooms, bath and storage, that are oriented to the forest in the west. 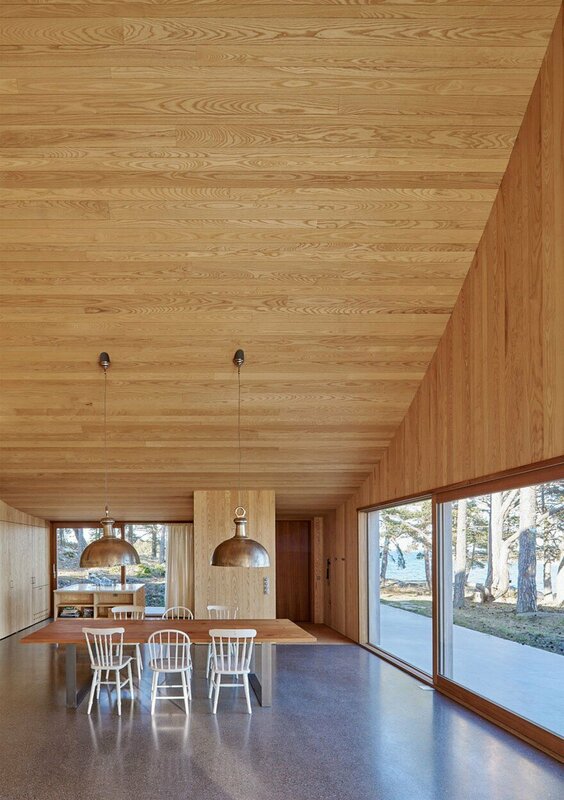 The large family room with kitchen and entrance could thus face out towards the sea with daylight and view in three directions. 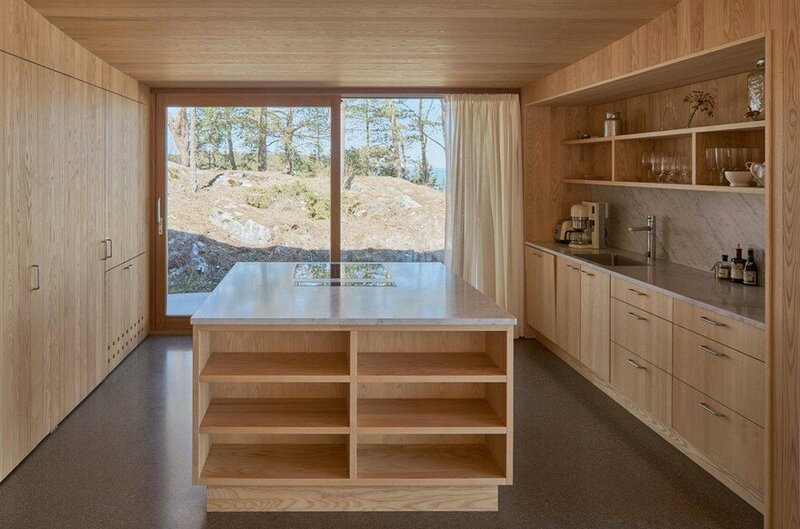 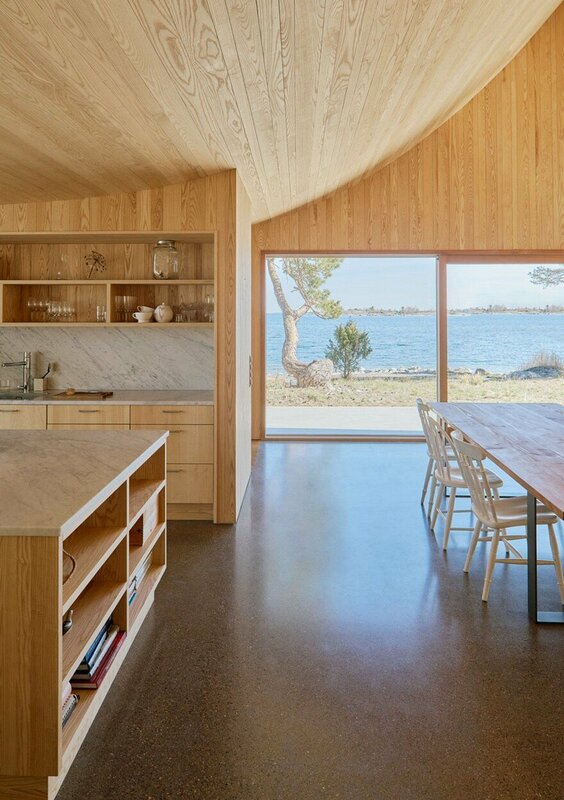 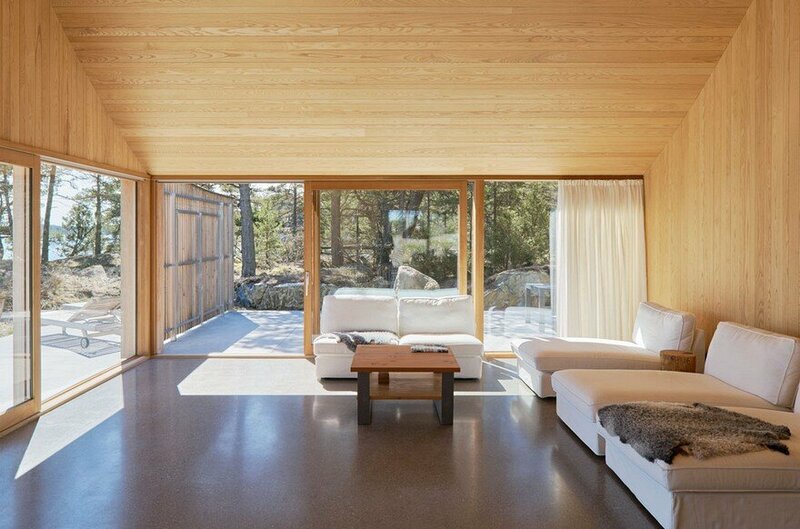 A screen of wood and glass runs around the house and unite interior and exterior spaces on a base of in-situ cast concrete. 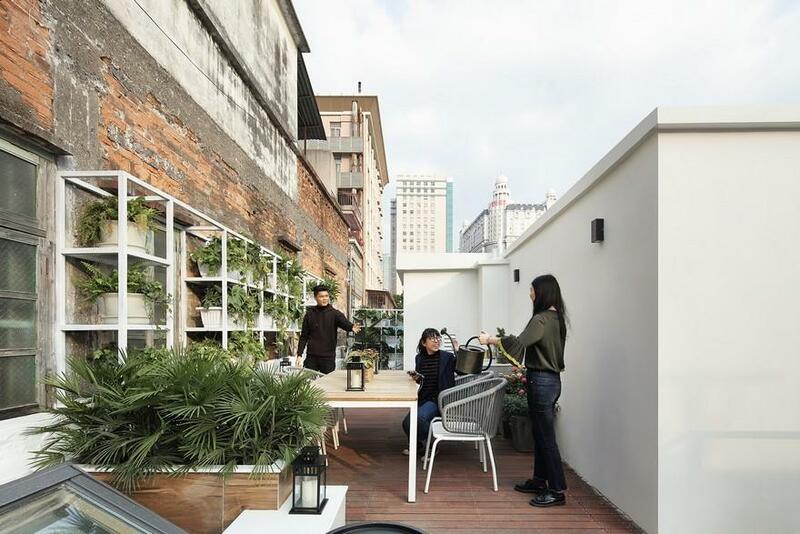 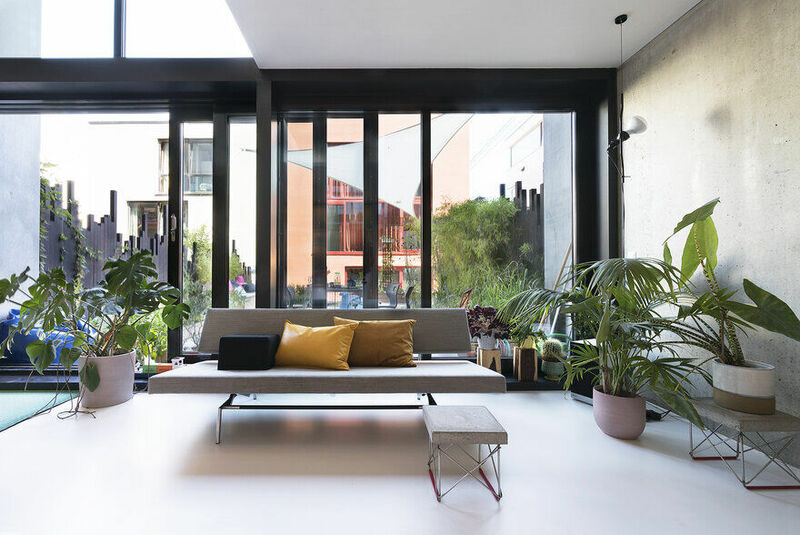 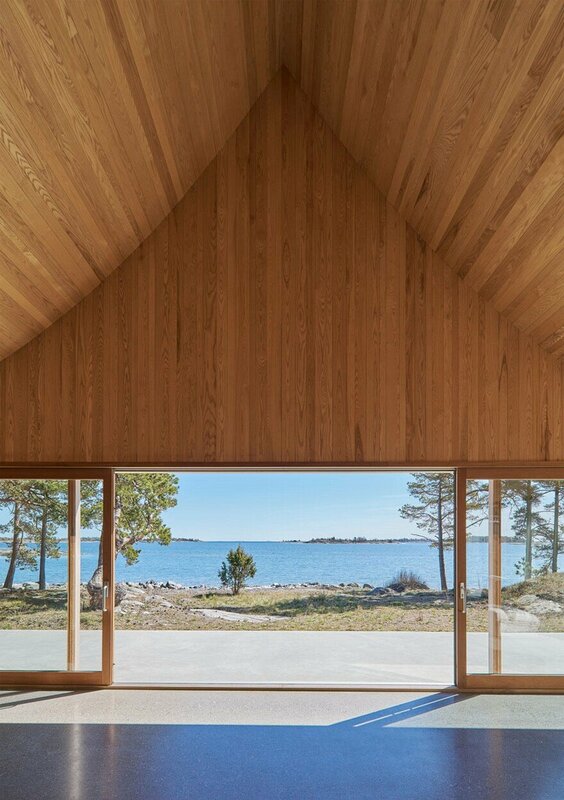 The living room opens up through large sliding doors onto three terraces, one of which is sheltered from the winds and facing south and one is completely open to the water to the east. 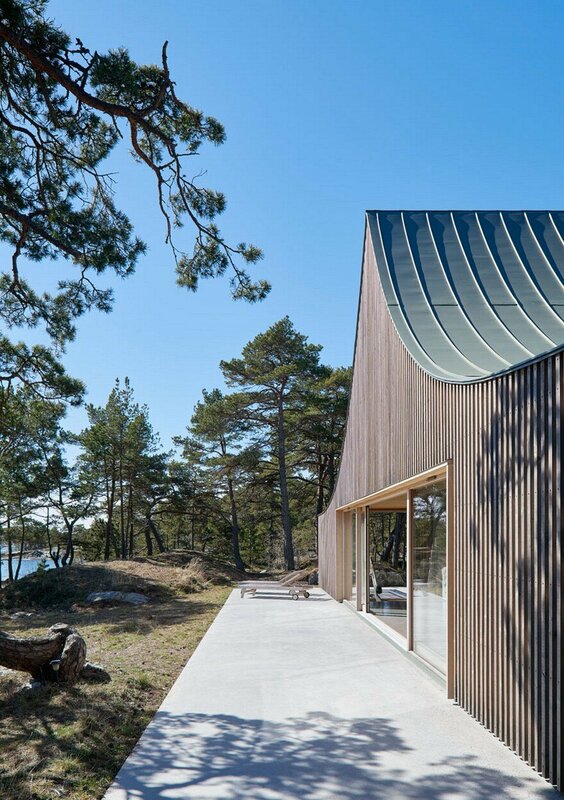 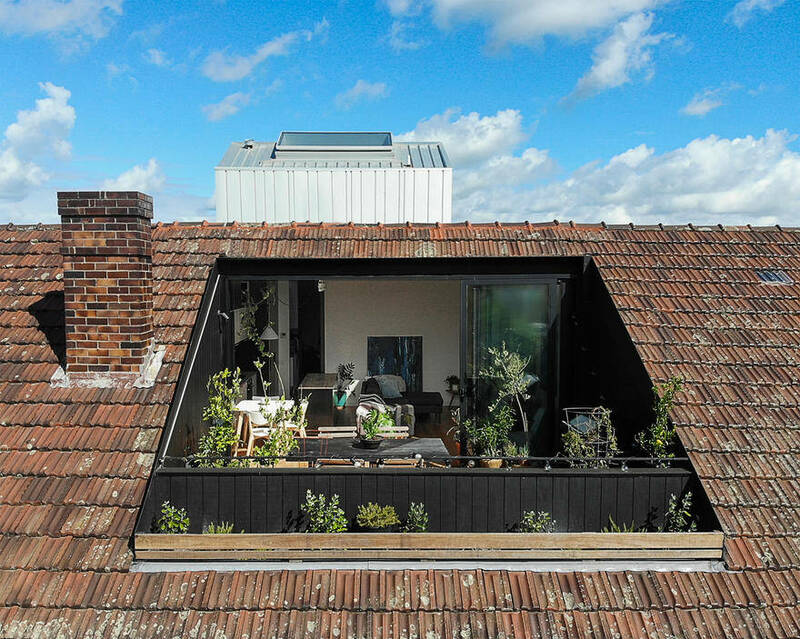 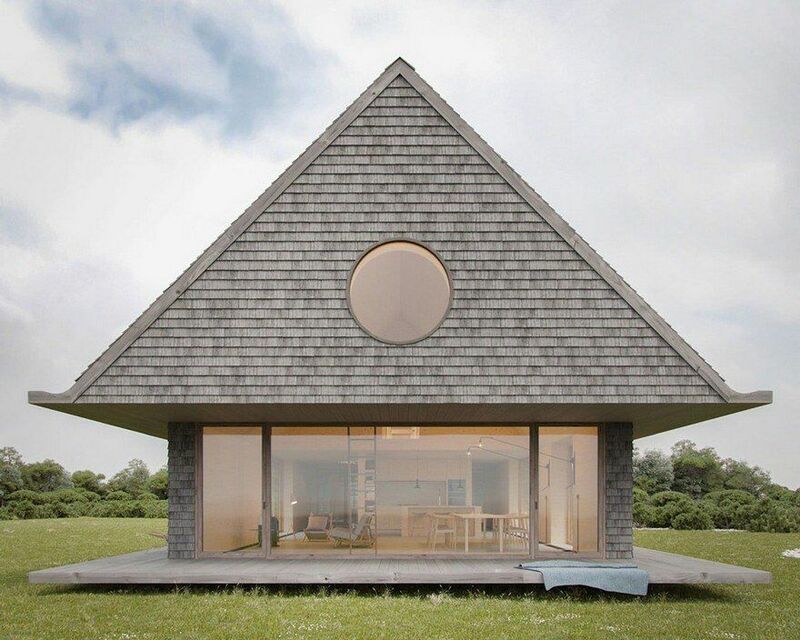 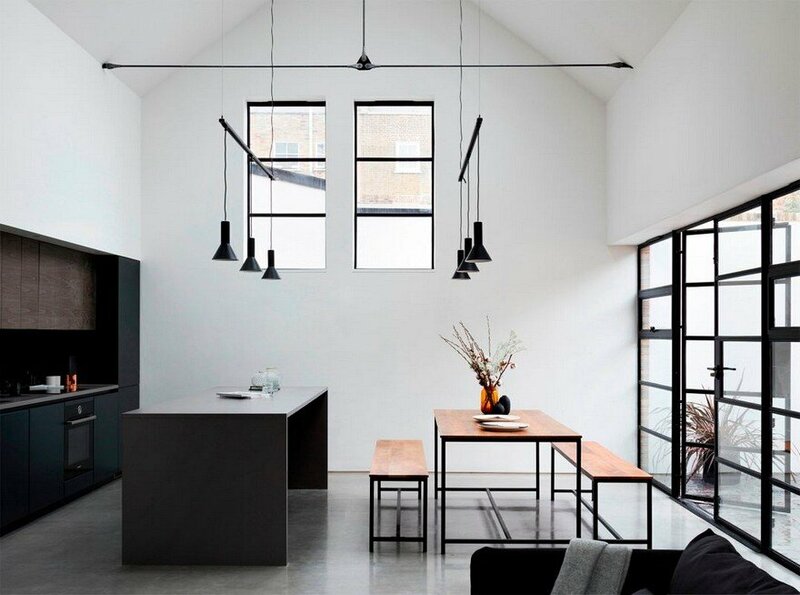 The building section with a unifying arcuate roof creates the spatial quality of the interior but also defines the entire character of the building. 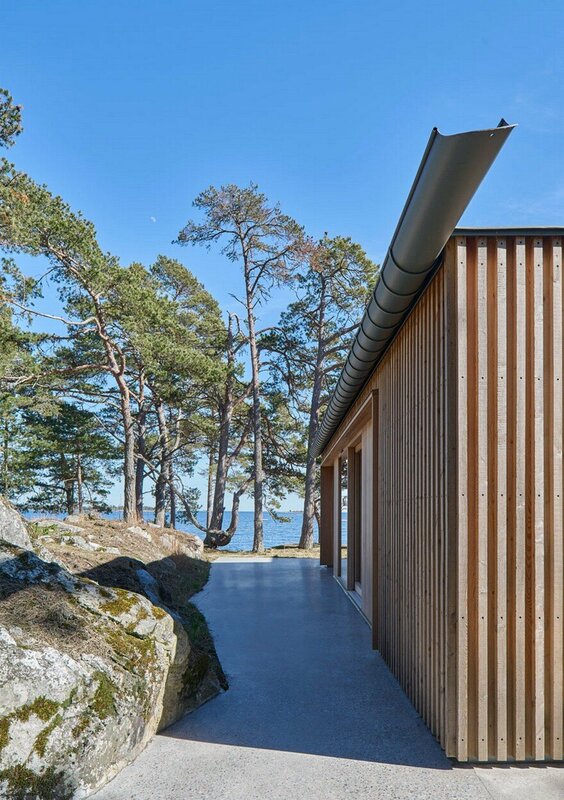 The horizontal openness of the main space out towards the sea is balanced by its verticality, an internal ridge height of 6 meters (18 feet). 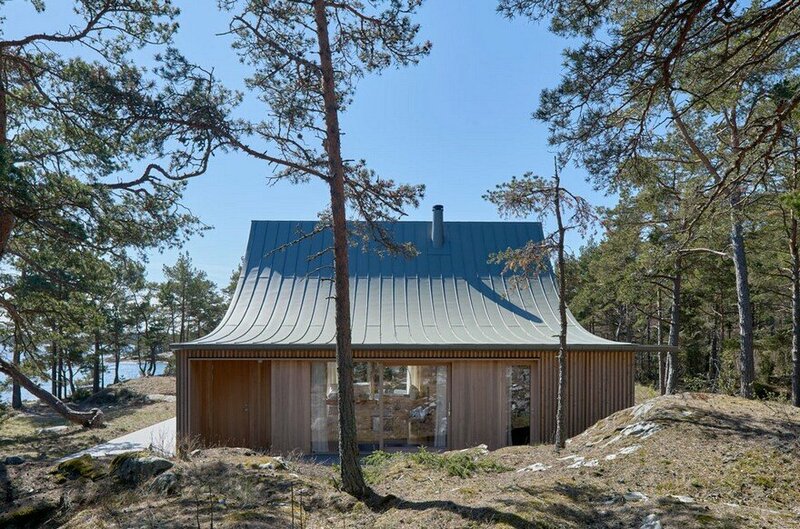 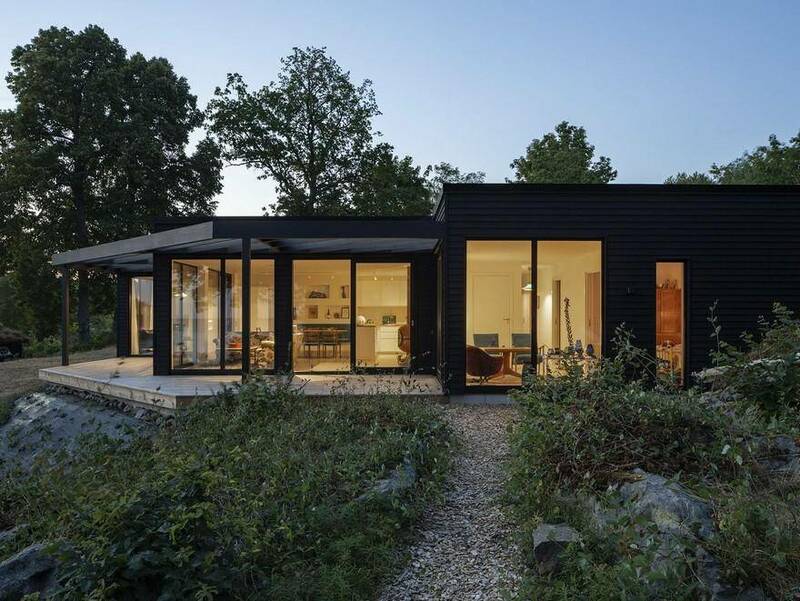 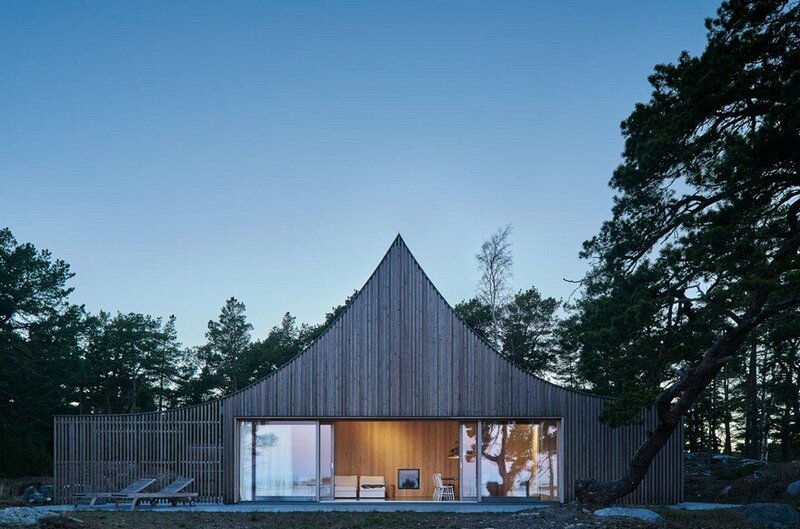 The tent-like room and silhouette of the house connects to the idea of the least complicated way to spend time in nature, but it is also inspired by the older Swedish pavilion- and gazebo architecture, light buildings carefully placed in the landscape. 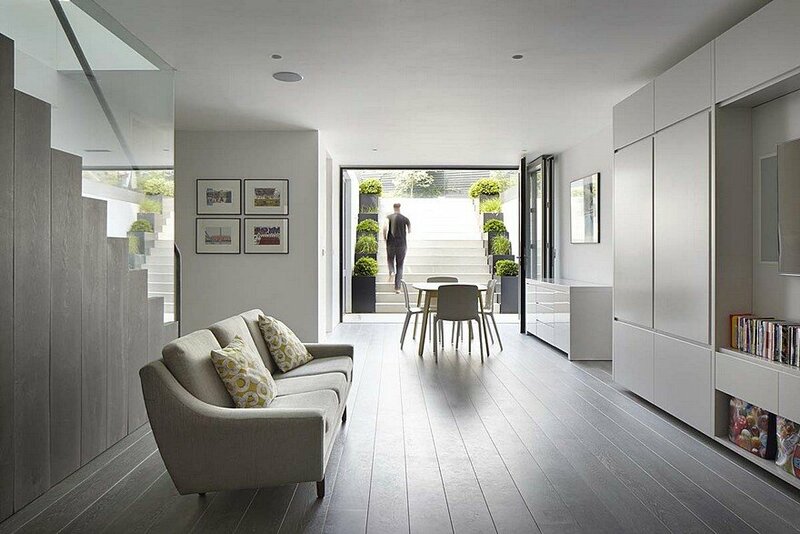 The results often have a flavour of easy going summer life, yet sometimes surprisingly grand in their expression. 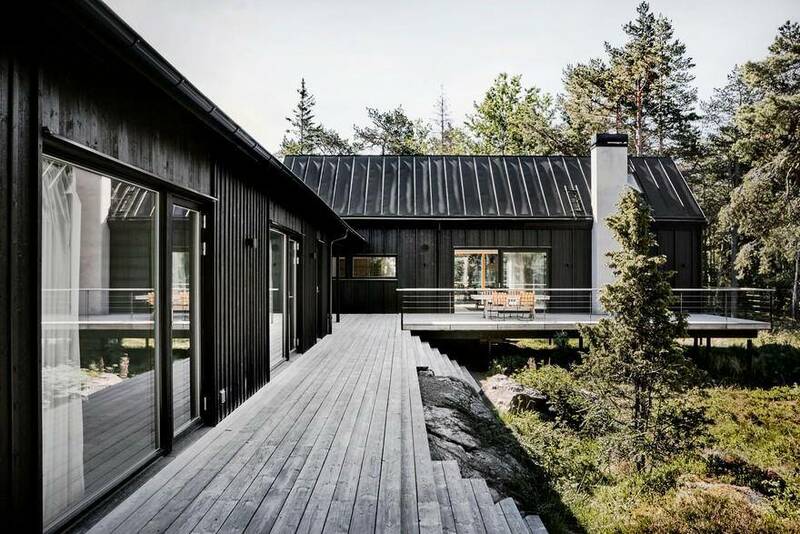 Construction and finishes are made entirely of wood with the exception of a steel girder distributing loads above the main facade. 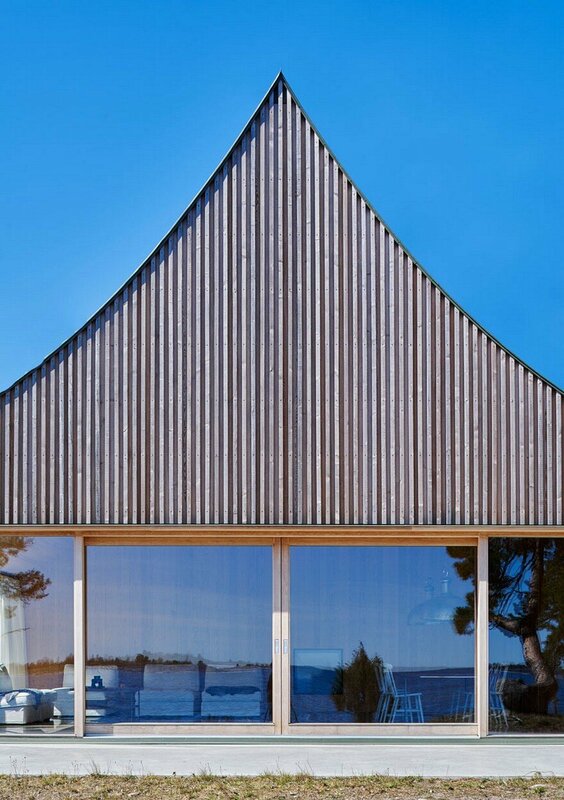 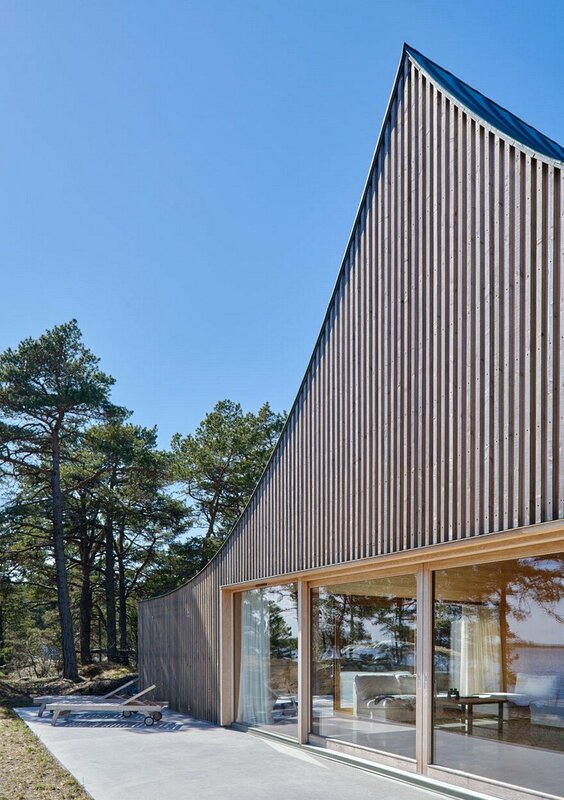 Curved glulam beams rest on the low gable facades and meet along a ridge roof beam. 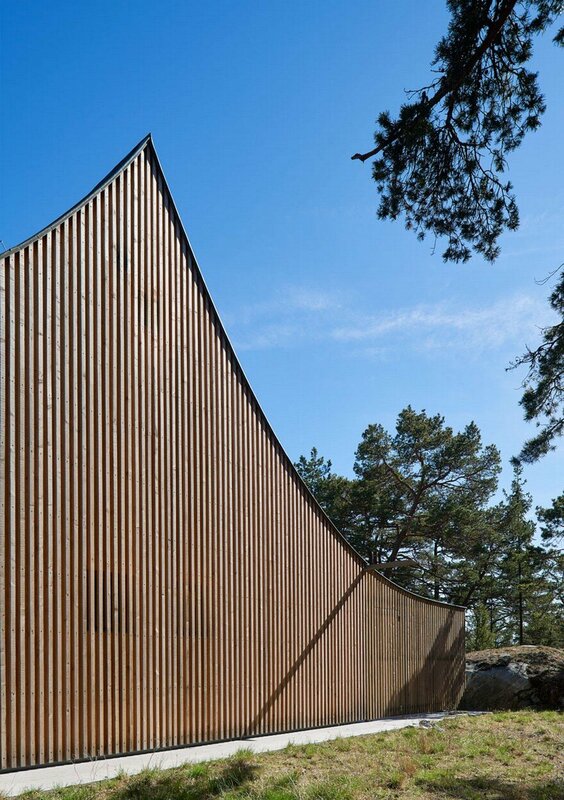 Facade panels and trellis screens are made of cedar wood.